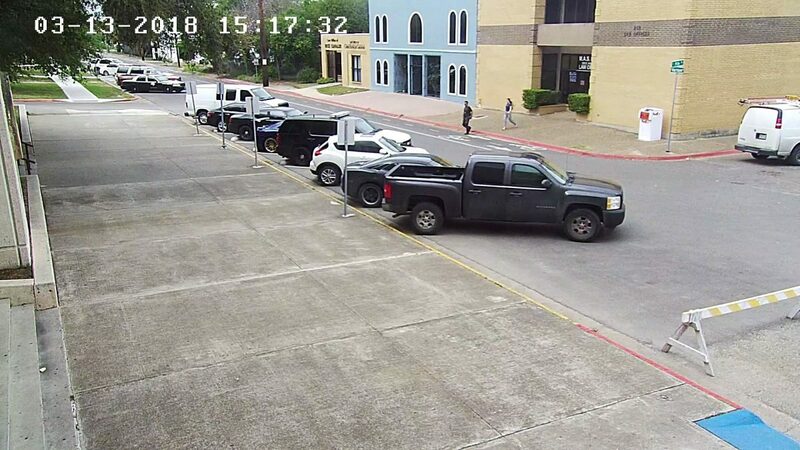 This Cameron County Courthouse security footage from March 13 shows Osiel Cardenas Jr. leaving a law office of a former assistant district attorney who reported to the DA that his keepsake badge was missing. A federal grand jury indicted Osiel Cardenas Jr. Tuesday on one count of impersonating a U.S. Marshal and one count of being a felon in possession of a firearm. Brownsville police arrested Cardenas Jr., son of former Gulf Cartel boss Osiel Cardenas, around 2 a.m. on March 15 in the parking lot of the Sky Bar & Lounge. He is accused of waiving a gun around the bar, displaying a Cameron County District Attorney’s badge and threatening patrons with arrest if they didn’t leave the premises. Police charged Cardenas Jr. with public intoxication, false report to a police officer and unlawful carrying of a weapon. On May 18, 2015, Cardenas was convicted of attempting to smuggle ammunition into Matamoros. His case for violating supervised release is ongoing. Questions remain on how exactly Cardenas Jr. obtained a Cameron County District Attorney’s badge, but investigators do know that it came from former assistant district attorney Ismael Hinojosa’s office. Cameron County DA Luis V. Saenz says Hinojosa advised him that his keepsakes badge was missing after learning of Cardenas Jr.’s arrest. Hinojosa represents Cardenas Jr. in a case regarding a driver’s license, court records show. Cameron County Courthouse security footage shown to The Brownsville Herald corroborates Hinojosa’s statement to the DA that he met with Cardenas Jr. on March 13. In that footage, Cardenas Jr. can be seen leaving Hinojosa’s office with what appears to be a shiny object hanging around his neck.